Has Spring sprung yet? 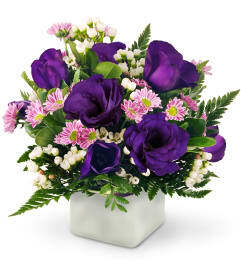 Whether yes or no, this lovely floral display will brighten spirits all year round. 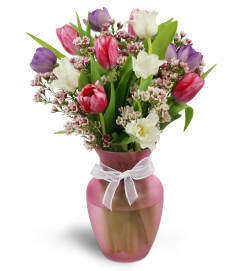 It's a perfect gift for Mother's Day, to welcome a new baby, or just to say "You're the Best!" any day! 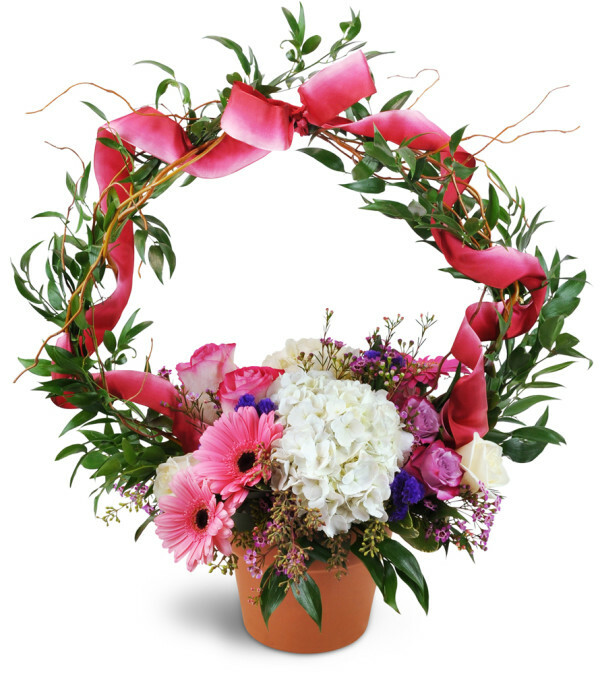 Stunning pink Gerbera daisies and multicolored roses are arranged with other festive blooms in a terra cotta pot - topped with an enchanting ring of ruscus, curly willow, and luxurious ribbon!